Campaigns must be able to spread the word about their campaigns when doing wholesale politics. Thus campaigns must either buy media spots (paid media) or generate free media coverage (earned media). This may be accomplished from a spectacular campaign event, an unusual comment which is considered "newsworthy" or from media hits. The 2016 Republican field has used different media strategies to varying effect. For example, former Governor Jeb Bush (R-FL) and his independent (but sympathetic) Right to Rise Super-PAC gathered a huge war chest to sway voters. The Jeb! strategy was to earn legitimacy in Republican voters eyes by amassing a cornucopia of endorsements and shape the field by flooding the airways with paid media. More telling was the money that Jeb and the Right to Rise Super-PAC burned through tens of millions of dollars on paid media. The Jeb campaign and Right to Rise flooded the airwaves in Iowa, New Hampshire and South Carolina but Bush fell in towards the back of the pack and suspended his campaign early in the voting. The Washington Post published a telling graphic to illustrate the cost benefit of Republican Primary campaigns on paid media and actual votes. The only campaign which spent more per vote than Jeb Bush did is Dr. Ben Carson. But as Carson Campaign's Business Manager (tellingly NOT a Campaign Manager) Armstrong Williams knows, branding can be quite expensive. But it can also be lucrative for those charged with placing the ads. Bush confidant Mike Murphy worked at the Jeb oriented Right to Rise Super-PAC but reportedly earned $14 million for buying the earned media. Nice job if you can get it. On the other end of the campaign publicity spectrum, there is earned media. Capitalizing on earned media has been one of the keys of Donald Trump's current success in the 2016 Republican Presidential Primary race. Donald Trump has been a master creating controversy to keep the spotlight focused on him and earning lots of earned media. During the summer of 2015, Trump received saturation media coverage by the networks. Trump's experience doing reality television already established name recognition and a branding of successful businessman in the eyes of many non-political low information voters. By saying outrageous things and constantly attacking opponents who threaten his perch, Trump generates tons of earned media. Another characteristic of the 2016 Trump campaign is a persistent attack on the media. Trump complains seemingly whenever a media organization reports something critical. Trump will label them nasty, unfair or stupid. Trump has gone so far to eject credentialed media with whom Trump does not like the line of their questions. Trump has a trend of disparaging journalists who challenge him, from benign interviews with Katy Tor to hostile news conference exchanges with Jorge Ramos. Most famously, Donald Trump launched myriad mysogenic slurs against Megyn Kelly, a Fox News anchor who questioned how Trump treated women. Several months later, Trump claimed that he was boycotting Fox News debates because of Megyn Kelly's inclusion, but later relented when Trump discovered that missing debates could hurt him amongst the electorate. To be fair, it might also have been a Trump technique of truthful hyperbole to further self promotion. The attack dog mentality plays well for the angry electorate but Trump's tirades against Fox News seem somewhat counter-intuitive. Fox News has long been considered the major media outlet most friendly to Republican voices. Despite what Trump-eteers trumpet on social media, much of Fox News is friendly towards Donald Trump. Trump has long done weekly call ins with Fox & Friends. Judge Janine Pirro has a longstanding friendship with Trump and has formally endorsed him. In addition, Sean Hannity is a personal friend, as is Bill O'Reilly. Both are happy to give the Manhattan mogul airtime, but these shows do not necessarily endorse the candidate, although O'Reilly was obsequious in begging Trump to participate in debates (even promising to take milkshakes off the ledger). So why does Trump peseverate on complaining about Fox News? The answer may be several fold. Trump loves positive news stories about himself. Despite all of the earned media, news hooks and friendly airtime through the auspices of Fox News, Trump has not won over Megyn Kelly thus he feels justified to rail against Fox. Cynically, Trump might deduce that attacking Trump may appeal to his "silent majority" of blue collar (Reagan) Democrats that are poised to support a populist like Trump but their perspectives have been poisoned by constant Democrat lambasting of Fox News. From a Machiavellian mode, by intimidating a strong opponent, it sends a bully message to the rest of the media and harbors a hint that they might lose access if they do not say nice things about Trump. For running a comparatively shoe-string budget campaign, Trump has done well trading on celebrity, controversy and earned media access. Cable channels love to run with Trump quips because they attract eyeballs and create controversy, which improves ratings. Trump tends to speak unscripted, so you never know what he is going to say. As many campaign rallies have been at large venues, live media coverage can be justified as being newsworthy. Trump is not shy about doing interviews with those he can rely upon not to be hostile interviews, so he gets lots of airtime. It is a curiosity that progressive channels like MSNBC and CNN have also been Trump obsessed. Is it because it is newsworthy? Does it attract eyeballs? Or could it be media manipulation to help pick the Republican nominee who will be easiest for a progressive to beat? 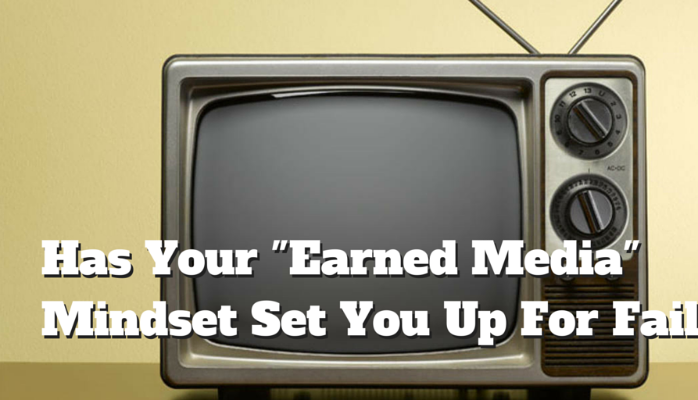 Enabling through earned media isn't always an endorsement. Some might conclude that Trump is brilliant in leveraging earned media to his advantage in the 2016 Election. But glowing coverage and earned media can only get a candidate so far. And those who live by the media can perish by the media. Senator John McCain had such a chummy relationship with the media on his Straight Talk Express, but the media mob turned on him after he won the 2008 Republican nomination. NBC News has bought all of the footage from Selena Scott's BBC documentary on Donald Trump but is holding the damning information until after the convention. The Lamestream Media has not focused on some of the business connections of the real estate tycoon. Unless the Republican electorate is convinced that it is a Trump landslide, it is difficult to see how an earned media oriented strategy works to appeal in nine separate primary races during the so called SEC primary on March 1st. Then on March 15th, there are several big winner take all states in Florida, Ohio and Illinois which have many media markets and are not built for quick barnstorming campaigns. But Trump is not the only seriously competitive candidate in the Republican nomination race. 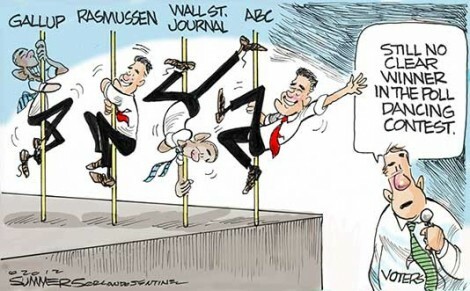 Senator Marco Rubio (R-FL) campaign relies heavily on endorsements and paid media. Rubio and his independent (but aligned) Conservative Solutions Super-PAC had amassed a vast war chest. Moreover, Senator Ted Cruz (R-TX) and his four independent (but aligned) Keep the Promise Super-PACs have raised lots of money and have been have resisted the temptation to blow the war chest early. This paid media, combined with strategic earned media news hooks and organized Get Out the Vote drives, could deflate the Trump balloon. Trump is short on specifics but loves to taut his poll ratings and his greatness on media availability, might not look as promising for earned media if the so called Trump Train is slowed down. For example, Donald Trump accepted his second place finish in the Iowa Caucus' gracefully and did not use social media much the next day. Consequently, Trump disappeared from the media spotlight. The next day, Trump cranked up the smear machine questioning Cruz's eligibility and other outrageous claims that Carson had votes stolen from him during the Iowa Caucus. That media circus strategy works well for Trump when everyone is concentrating on the next state. But when there are many simultaneous contests in diverse regions, that might not be a successful strategy, especially if the media (or the establishment) has anointed the new "golden boy" for saturation coverage. Looking forward to the General Election, once the Republican nomination is decided, even friendly foils in the media become fierce foes. This is to maintain impartiality, to create controversy to become newsworthy and often reflects the liberal Lamesteam Media bias. If a candidate is overly reliant on earned media from chaos campaigning and chummy Manhattan media ties, it could endanger the viability of such a candidacy. Oppo research leaks to the media about a candidate's shortcomings (or even silly stuff like crating a dog on top of a station wagon for a summer vacation) can dominate the media landscape and besmirch the reputation of a former media darling. While such jaundiced journalism would not alienate the hardened core of Trump supporters, it would bolster the ceiling of popularity and drive the debate to terra incognita. In the 2016 Election Cycle, the Republican Presidential Primary has been driven by plethora of political polls. In fact, Donald Trump regularly trumpets his lead in “all the polls”. Yet Trump was surprised when he underperformed in the Iowa Caucuses, which has prompted bizarre tangents that the Manhattan Mogul really should have won the contest. To try to educate enthusiastic but unsophisticated political partisans, here are some things to look for when considering the merits of polls. Internet polls are unreliable. If this were not the case, former Representative RON Paul (R-TX 14th & 22nd) would have been the GOP nominee in 2008 and 2012 based on Internet Polling. There is no sampling, nor fail-safe ways to prevent over-voting. Internet polls do give an indication of social media enthusiasm, but this can be gamed and is not indicative of real grassroots support. For the primaries, national polls are misleading as they mainly give a gauge of name recognition. If a candidate is well known, such as Hillary Clinton (D-NY) for the Democrats or Donald Trump competing in the Republican primaries, national polls can seem skewed towards them. Given this reality, such candidates may craft their message to be one of inevitability. This pitch can be a perception that the nomination process is a coronation or that the leader in the national polls will sweep the table. There are some sources, such as Real Clear Politics, which will combine polls to give a national average. This can give some indication about movements by candidates, but since this merges different methodologies, it is dangerous to rely upon the specific numbers. In our system, however, states hold primaries. These states have different primary electorates, and often vote on different dates so candidates’ messages are often tailored to appeal (perhaps pandering) to particular audiences. For example, Ohio Governor John Kasich started to drop his “n”s in and be downhome in evangelical appeal at the last South Carolina primary. Sometimes this strategy works, but it can come off as unctuous and inauthentic. While state polls can be more illuminating, there are still lots of details one must discern in the cross tabs. Most casual consumers of campaign news only listen for the top line results, either the pecking order or the purported percentage of support. The crosstabs involve the margin of error. For example, this CBS GOP bar graph for the South Carolina polling has a Margin of Error (MOE) of 5.7%. A useful rule of thumb is that ANY poll with a Margin of Error of more than 5% is practically meaningless. In this instance, Senator Ted Cruz could have 25.7% support or as little as 14.3%. Senator Marco Rubio (R-FL) could vault into second with up to 20.7% or drop into a tie for fourth place at 9.3%. That large range makes most of the pecking order suspect. Then there is the question of who makes up the body of those who are polled. Asking any American is dubious for primaries as most of those contests are closed. 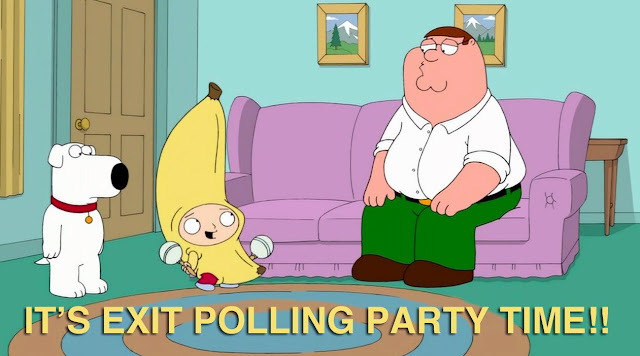 So if a poll’s sample is skewed 80% Democrats for a Republican primary, the results will be apple-sauce. A slightly more reliable class is registered voters, but without separating party affiliation, this will still be suspect. The gold standard is likely voters for a given party. In order to find a pool of likely voters, pollsters will ask vetting questions to ensure that the surveyed voter has cast ballots in several past elections. This takes time and costs the pollster money, but is much more reliable than something like an internet poll with trolls clicking out of their parents’ basement. Determining the right sample is imperative and may explain the disparity between the polls and the Iowa Caucus results. Prior to the Hawkeye Cauci, it was postulated that Trump needed to turn out a large swell of new participants to the caucus. The Trump campaign did not concentrate on Get Out the Vote efforts. Nevertheless, there was a large contingent of “new voters”, but the new voters were disinclined to support Trump. 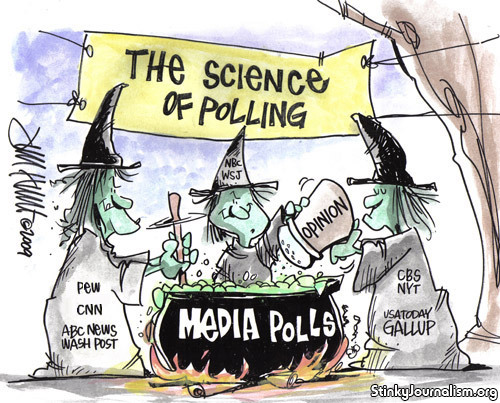 Public polls are only news if a news source determines that it is fit to print and advances their narrative. 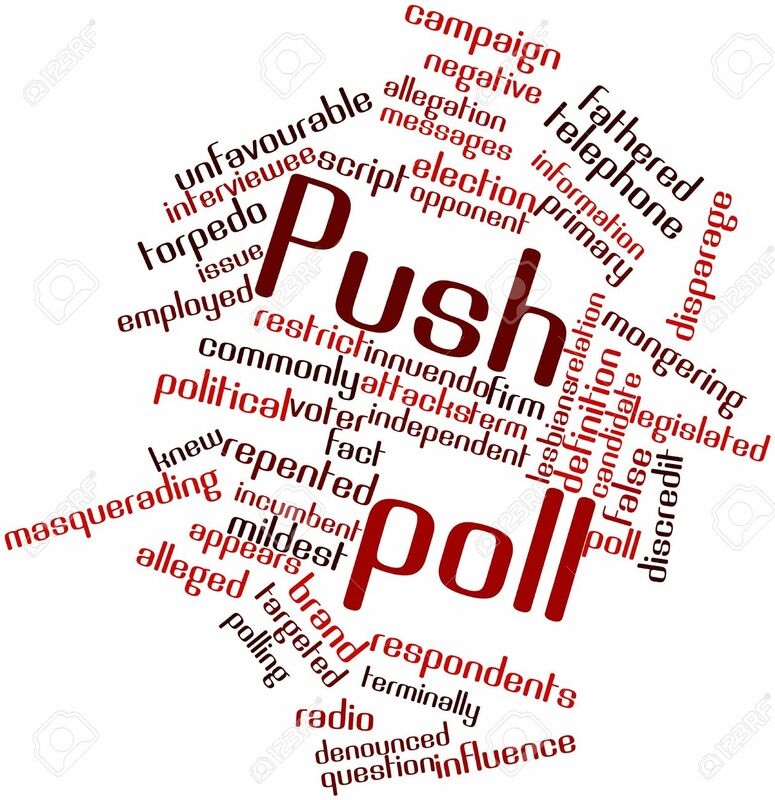 Some news sources have sat on poll results which do not augment their desired narrative, or they will bury them with Friday afternoon releases or on the back pages. It used to be Gallup that was the standard, but they seemingly have bowed out of election polls. But not every polling company is the same For instance, Public Policy Polling tends to be a Democrat operation. So their results may be crafted to make mischief for Republicans or have flawed methodology. The manner which a prospective pollee is contacted may influence the results. It used to be that telephone polling was pretty reliable. However, now that many households have dropped land-lines, results including cell-phone callers can be questionable. When you call also matters. If pollsters will reach fewer Republicans at home during weekends, which may adversely affect the numbers. There is some thought that people are more likely to tell pollsters that they support Trump if it is an automated call rather than person to person. Robo-call polls are not really meant to measure support for an election field but are the cover for push polling. In puah polla, if a voter indicates that they like candidate X, they may be told adverse information meant to dampen support for that candidate. Trump has been complaining about Cruz’s robo calls about Trump dropping out, but it seems like Trump is fulfilling that premise with insinuations that he might quit if the GOP does not treat him right. Exit polls, which are conducted on election day, after a voter has casted his ballot, often are instructive in the eleventh hour. These exit polls can be off the mark if there is too small of a sample, if the chosen precincts are not representative of the electorate and the reality of some voters will not tell the whole truth to their interviewers. Exit polls give news organizations a heads up on probable election results before the polls close and facilitate in forecasting end of the evening winners. Aside from inquiring about the actual candidate, exit polls can be a barometer about what were the real hot button issues for voters and give the media something to talk about as the election returns start to come in. It is unfortunate that in the 24/7 news cycle, many media sources will use horse race polls of dubious merit to fill their time and create excitement in the electorate. This can create false expectations by those who just scan the headlines. There are internal polls which are commissioned by campaigns. These internal polls can give politicians a real reading of the electorate. 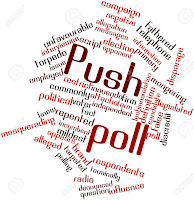 These internal polls can also be enlisted to hone a message to find out what are hot button issues or what is a better way to couch a policy proposal. But these internal polls can also convey wishful thinking. When a campaign leaks an internal poll, they may be giving credible alternative information ignored by the drive-by media. Or it could be releasing agiprop to staunch waning support or to create a perception of a surge. and not be framed by the primary polls. The reality is that the only poll that counts is on Election Day. If the eventual winner of the primaries is not one’s cup of tea, other metrics may be called for in the General Election.